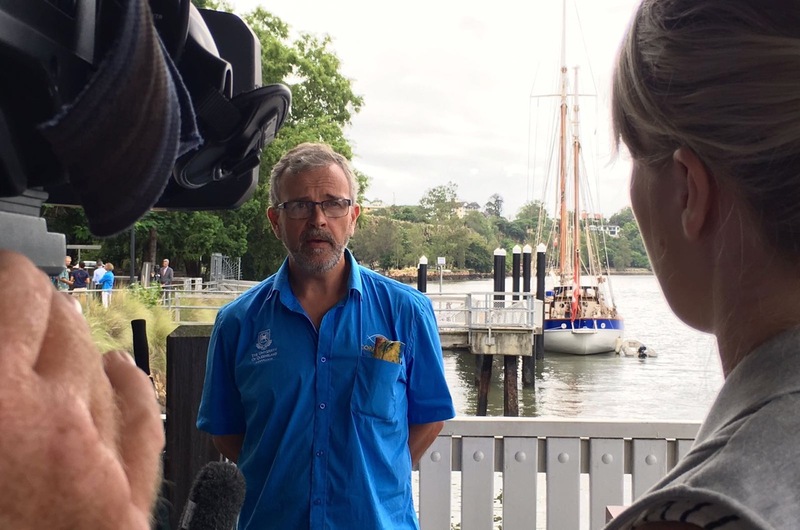 A few days ahead of The Ocean Mapping Expedition’s departure from Brisbane towards the Great Barrier Reef, on Tuesday 28 March 2017, time has come to talk about the two new scientific programmes that will be carried on while sailing on this endangered environment, starting with the one in partnership with CoralWatch. 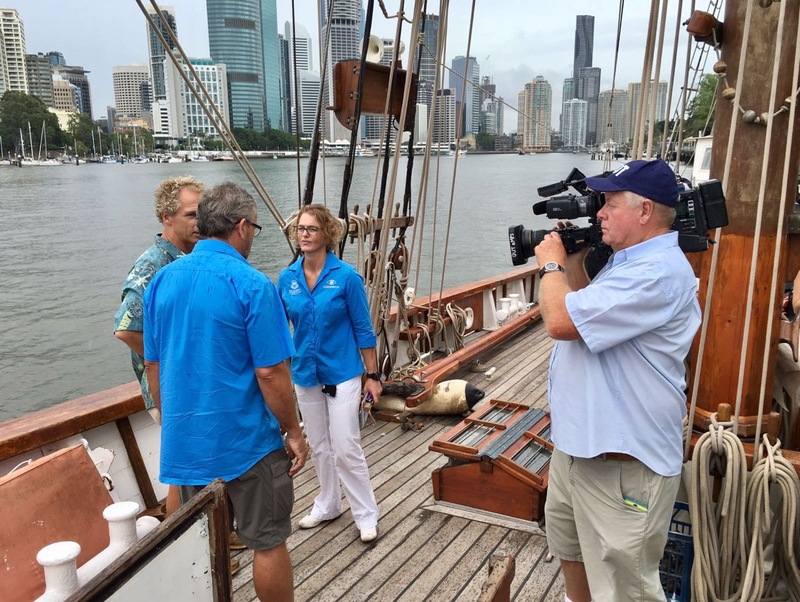 This programme will start as soon as the boat has left the capital of Queensland and reached its first coral reefs on its way North. On 28-29 March, the expedition will quickly anchor off Moreton Bay Research Station on Stradbroke island, off Brisbane river. 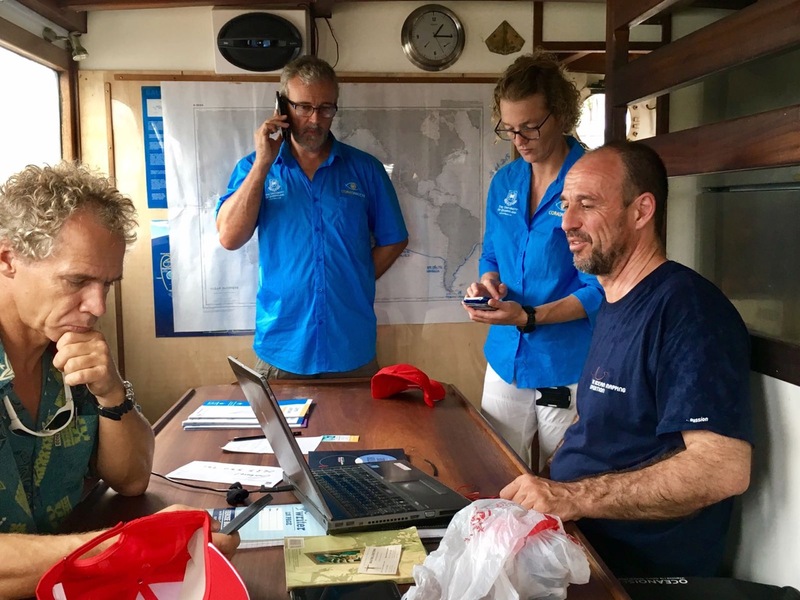 And a team of the Australian NGO will instruct Fleur de Passion’s crew so that it can carry on observations from then on and contribute to feeding a huge database on the health of corals. That’s indeed the very ambition of this perfect example of citizen science based at The University of Queensland: helping school, community and tourism groups to understand and support reef management by providing people with accessible information and the opportunity to participate in the collection of scientific data. The Great Barrier Reef comprises almost 3,000 coral reefs spread over an area of more than 340,000 km² extending 2,300 km along Australia's east coast from Gladstone in the south to the Torres Strait between Australia and Papua New Guinea. It is the planet's largest living structure, which has been part of the UNESCO World Heritage since 1981 and is home to thousands of marine animals and organisms. But it is a structure in mortal danger. Under the influence of the El Niño weather phenomenon and man-made global warming, the Great Barrier Reef has been experiencing ever more frequent bleaching events over recent years, the latest being in 2016, which is still ongoing. When stressed, the corals – which are living creatures or polyps, surrounded by a hard exoskeleton and living in colonies – are expelling the microscopic algae that live in symbiosis with them and give them their colour. If the temperature falls, the polyps can gradually recover from a bleaching episode. But if it does not fall, the algae do not return and the corals die. The entire Great Barrier Reef is therefore affected to varying degrees, though mainly in the north, where 67% of the coral have experienced bleaching, the very ones that will be scrutinized by The Ocean Mapping Expedition as of the end of April; bleaching has been as much as 99% on some reefs. «The Great Barrier Reef continues to face a barrage of threats», says Prof Justin Marshall from the Sensory Neurobiology Group of the Queensland Brain Institute and project leader at CoralWatch. «As a second major coral bleaching event takes hold, now more than ever the reef requires support by international government, industry, science and the community. Citizen Science is recognized as an effective way to bolster information flow between these sectors». «CoralWatch is in a prime position to facilitate understanding between these sectors», he adds. «The visit to Australia of the Fleur de Passion and the Fondation Pacifique and our developing cooperative relationship could not come at a better time. 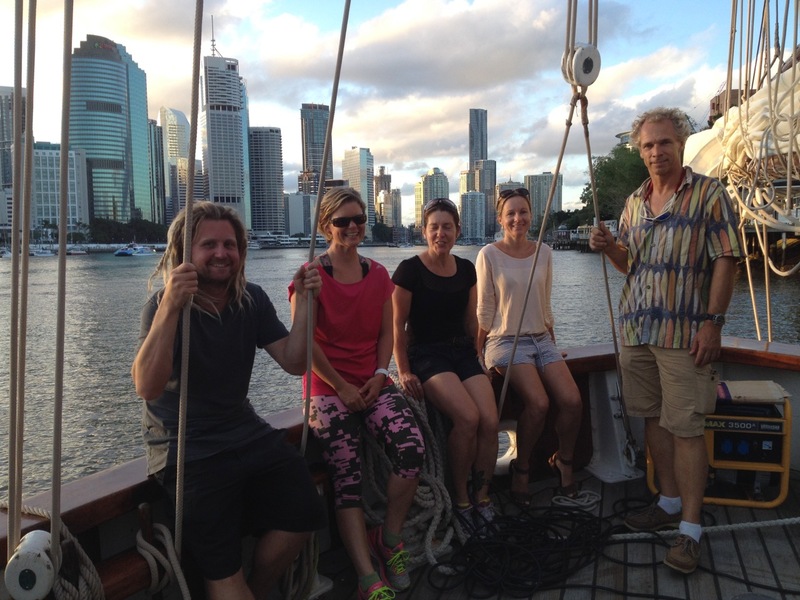 CoralWatch is looking forward to working with the crew, visiting scientists and guests aboard the Fleur de Passion to gather information on reef health but also to help the global community preserve reef systems for our children». «Our core values can be summarized by the old saying: 'Tell me and I will forget, teach me and I will remember, involve me and I will learn.' 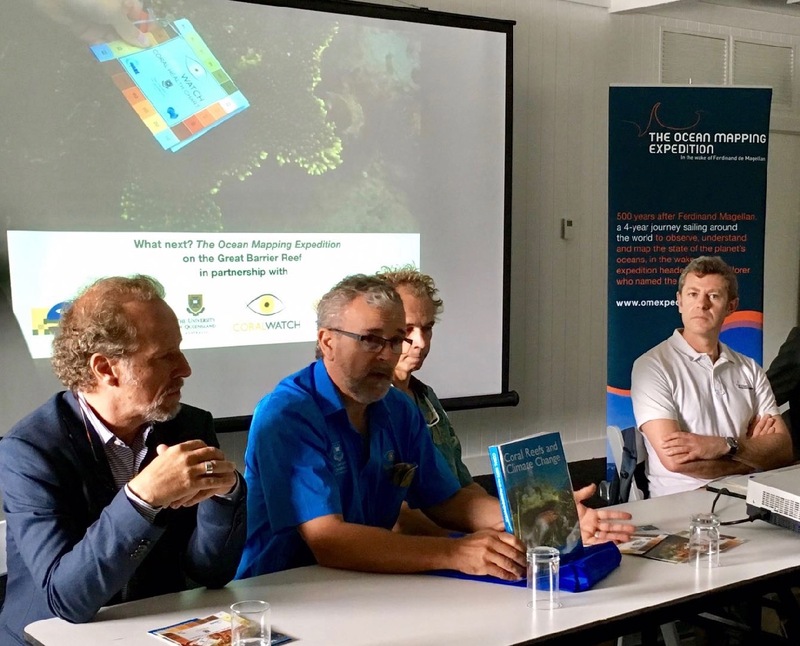 The Fondation Pacifique clearly has the same values at heart and provides a superb opportunity to reach large areas of reef in Australia and around the world, otherwise hard to reach», says Prof Justin Marshall. Beyond the Great Barrier Reef, these observations will in fact continue wherever the expedition encounters corals along the way, starting with those in South-East Asia from August-September 2017 in the Salomon islands then Papua New Guinea, Indonesia and Philippines. The observations require a colour health chart based on the actual colours of bleached and healthy corals. Each colour square corresponds to a concentration of symbionts contained in the coral tissue. The concentration of symbionts is directly linked to the health of the coral. 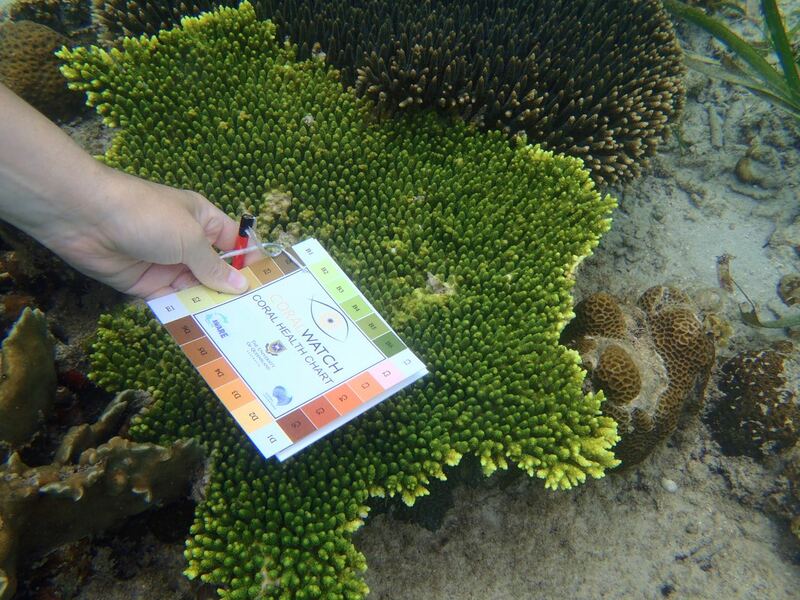 All you have to do is match the colour of the coral with one of the colours in the coral health monitoring chart. You then record the matching colour codes, along with coral type (species if possible), on the website data sheet. 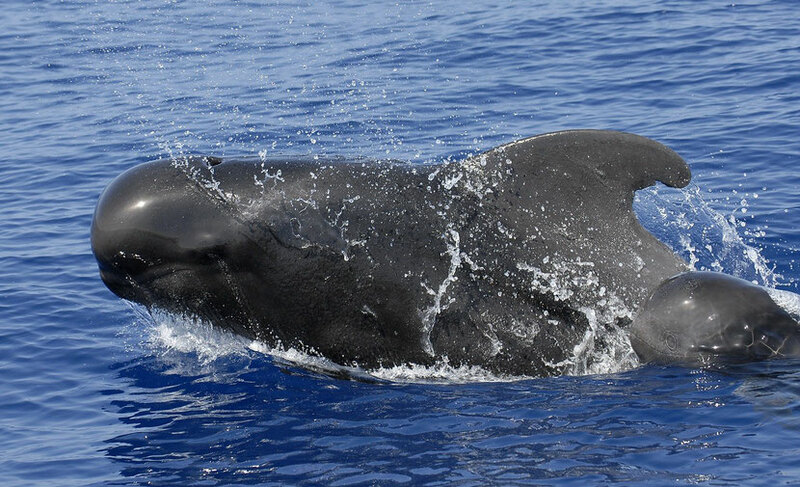 Off the island of Tutuila in American Samoa, in September 2016 the crew of Fleur de Passion was treated to a live concert of humpback whale songs. 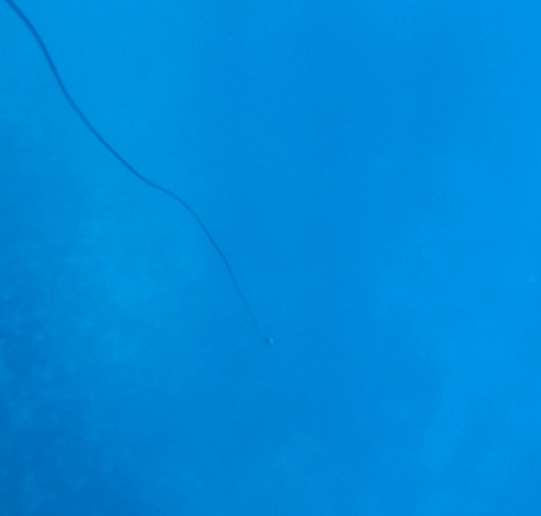 It was enough to plunge the yoyo (manual hydrophone) in the water to listen to these strange monotonous chants coming from the oceans, with the clatter of the seabed in the background. 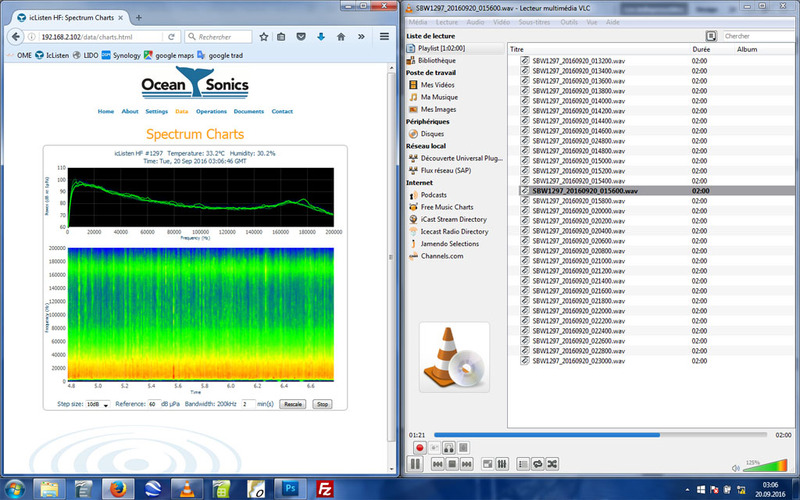 Streamed to the Laboratory of Bioacoustics Applications of the Polytechnic University of Catalonia in Barcelona, these recordings are part of the program 20'000 Sounds Under the Seas. They are then analyzed by biologist Michel André and his team, who then feed their project to map the noise pollution of the oceans. Not the whales’ sounds, of course, but that generated by human activity. Fleur de Passion is now sailing to Australia. 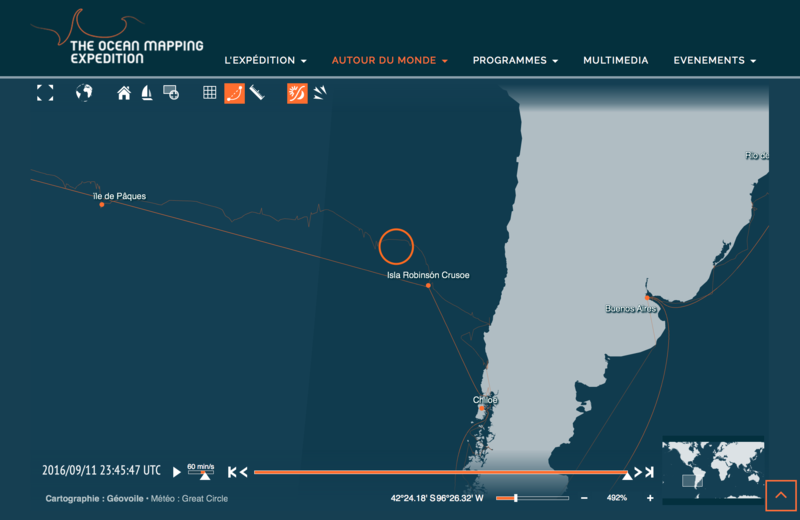 Meanwhile the investigation of underwater recordings made through the program “20'000 Sounds Under the Sea” during the first half of the Pacific crossing, from Chile to Tahiti, from April to June, continues at the Bioacoustics Applications Laboratory of the Polytechnic University of Catalonia in Barcelona. Thus, in both sequences below, recorded respectively on 11 April 2016 at the approach of Conception in Chile (position 37 ° 04'42.2 "S 74 ° 43'17.4" W) and on 25 April 2016 north west of the Robinson island (position 29 ° 58'47.6 "S 82 ° 29'56.0" W), you can hear the whistles and clicks likely coming from pilot dolphins (Globicephala macrorhynchus / G. melas), a species belonging to the family of pilot whales. But the crew didn’t manage to see them.